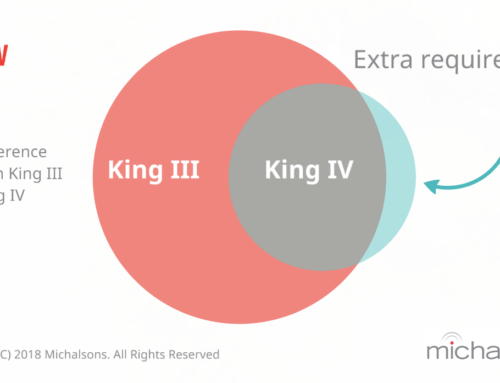 The King IV Code deals with information and technology governance (or IT Governance) in detail. IT Governance was first dealt with specifically in King III™ with a whole chapter and principle on the topic. In the King IV Code™, the scope of the IT governance section has expanded and more emphasis has been placed on it. This is in line with the trend of IT becoming pervasive in all aspects of the operations of organisations. According to Principle 12 of King IV™, the purpose of IT Governance is to support the organisation to set and achieve its objectives. The main outcome of your IT Governance efforts should be adequate and effective control, but you should be aiming to achieve all governance outcomes. 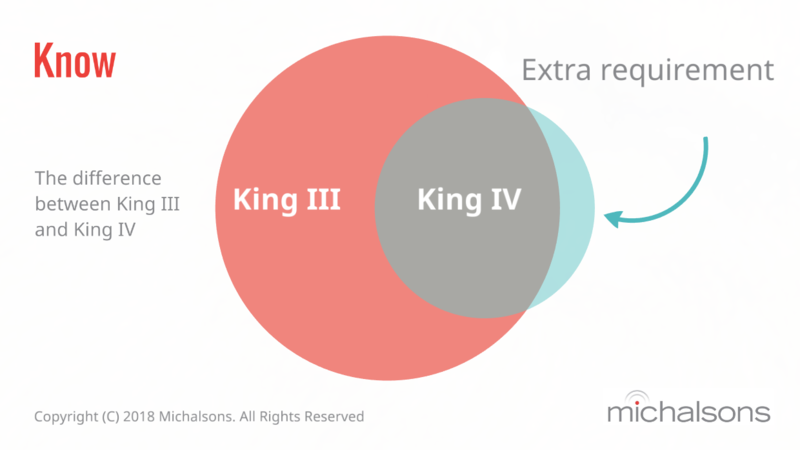 What will the King IV Code mean for your IT Governance? Are you going to have to revisit your IT governance frameworks, charters, and policies? Yes, but it shouldn’t be an extensive exercise. 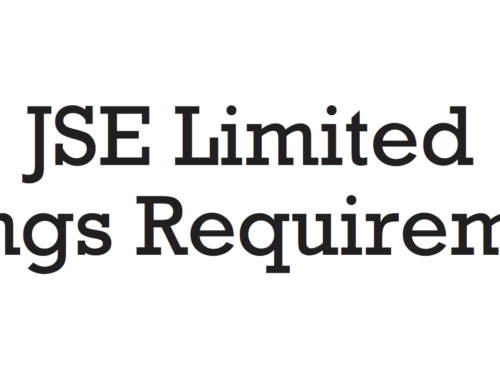 King IV is on an apply and explain basis so it is not compulsory unless you’re listed. IT governance policies should also be transparent on various aspects including management of information and technology and remedial action taken when major incidents occur. 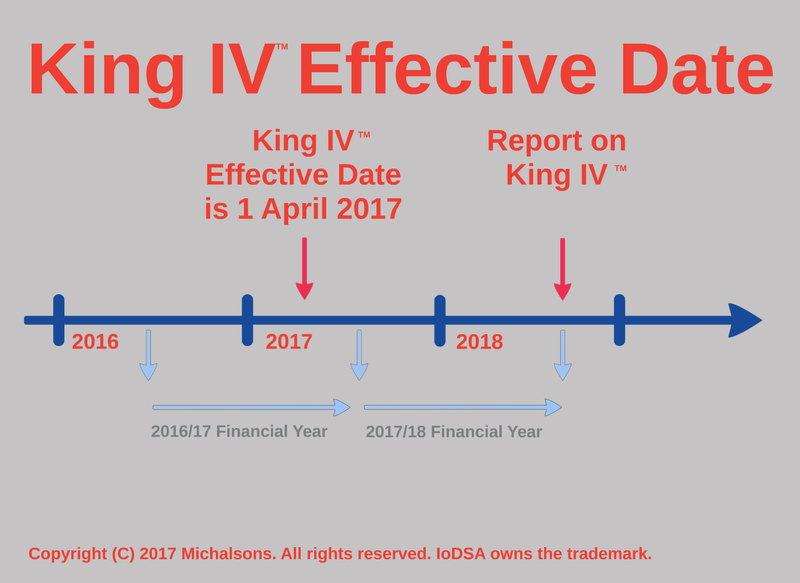 This is not a typo – King IV refers to technology and information governance. At first, this seemed strange because we are all familiar with the term information and technology governance (or IT Governance). We didn’t understand why the drafters had decided to change the terminology they used. Then, the final King IV explained that the committee wanted to highlight that technology and information can stand on their own. They wanted to put the focus on information and not just technology. We believe the committee should also have included communications governance. We think information, communications and technology governance (or ICT Governance) is probably the best term to use, although Internationally IT Governance is the established term. The King IV Report (page 30) refers to the advances in technology and digitisation as the fourth Industrial Revolution and stresses what a big impact it has on all organisations. We think it should be referred to as the Information Revolution, but it doesn’t really matter. disclose the governance and management of IT by the organisation, including disclosing an overview, focus areas, actions taken and plans. Please note that this is the plain language version of this principle – you must read the full text yourself. The reference to cyber-security risk in the draft was strange and has been left out of the final King IV. Was it just an acronym for information security risk? There is a big overlap with section 19 of the Protection of Personal Information Act here and maybe less so with cyber crime law. 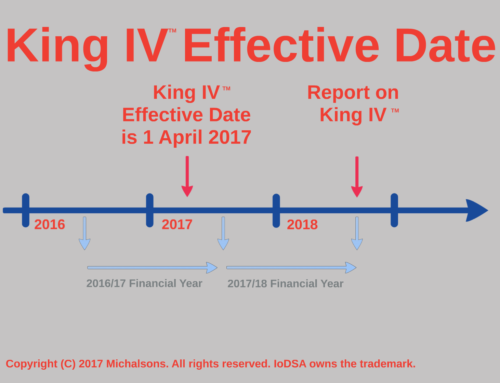 Transition from King III to King IV by getting our King III to King IV Comparison Tables and King Planning Tool. Ask Michalsons to review your IT Policies. Conduct an IP audit for you so you know what intellectual capital you have.